Hello Friends! This is the second post for today. If you're looking for the Friday Freebie from MelJen's Designs, just scroll on down. BUT...if you want to see a few birthday cards...read on! As some of you may know, I have been selling my handcrafted cards at various venues for the past several months. I am having the time of my life, meeting new people, making new friends and sharing my love of paper crafting. The number one card request I receive is for birthday cards, soooo I thought I would sit down and crank a few out. I've been sharing many of them here on my blog and you can see lots of birthday card inspiration by clicking HERE. 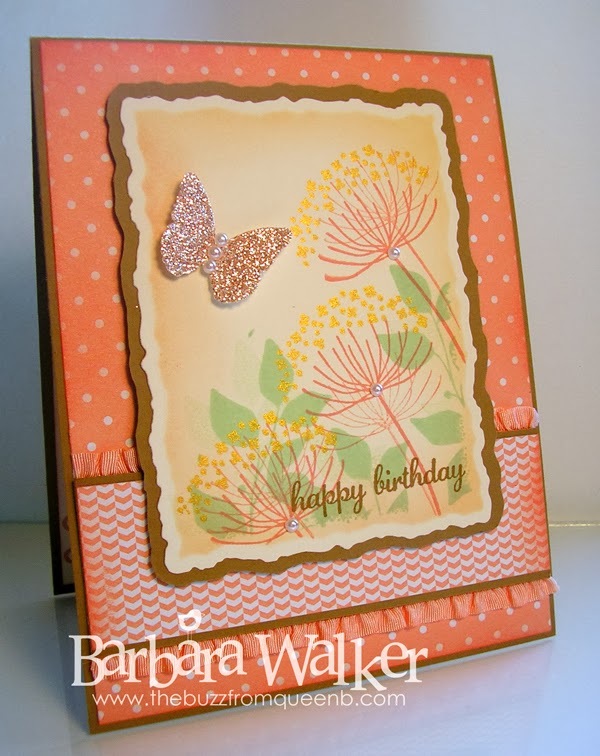 I am also entering these into the Share Your Project to Win contest, sponsored by ScrapbookPal.com because I used Spellbinders dies on both of them. This is a fun and EASY contest to enter...check it out by clicking on the links. You could win a $35 Store Gift Certificate. The cards I am sharing today feature all Stampin' Up! products. I am absolutely IN LOVE with the Crisp Cantaloupe In Color. I just can't get enough of it. And that is the color I decided to work with for these cards. I created two cards using the same stamp set and color palette. I hope you like them...click on the photos to enlarge them to see detail. Isn't that color just GORGEOUS?! It is sooo cantaloupe! Anyway...really simple layout here. I paired that delicious cantaloupe with another favorite, Baked Brown Sugar. Stampin' Up! has the cutest color names! I did a lot of stamping, including some second generation stamping, which is simply stamping the image twice without re-inking. It gives a really nice shadow effect and adds depth and dimension. I die cut the tag, stamped on the sentiment, lightly sponged on cantaloupe ink then adhered it with dimensional adhesive. If look really closely you can catch a glimpse of that FABULOUS Delicata Golden Glitz ink, which is now available at ScrapbookPal.com! 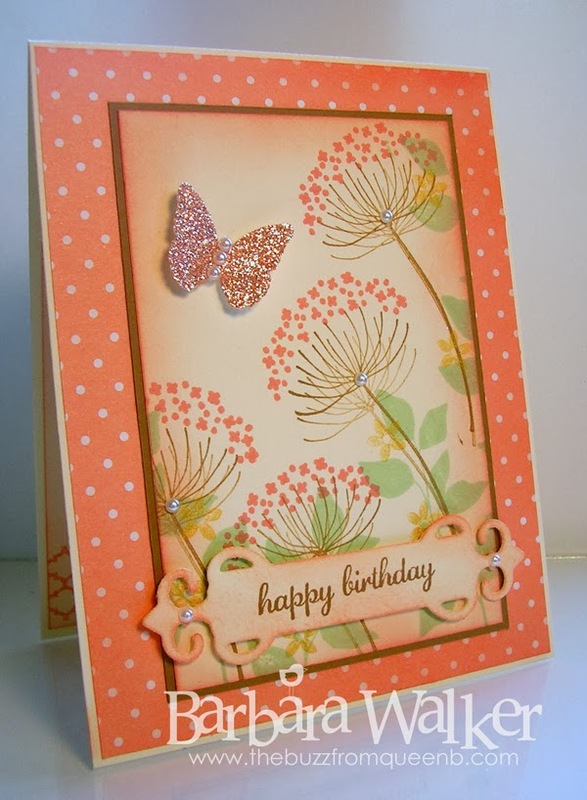 I used one of the smaller florals from the set and stamped it randomly using the gold. It added just a subtle sparkle and shimmer. I love the look of it! Here is the second card I created. Again, using the same stamp set and color palette. Sometimes I get in the zone and I just work with what's on my creation station. 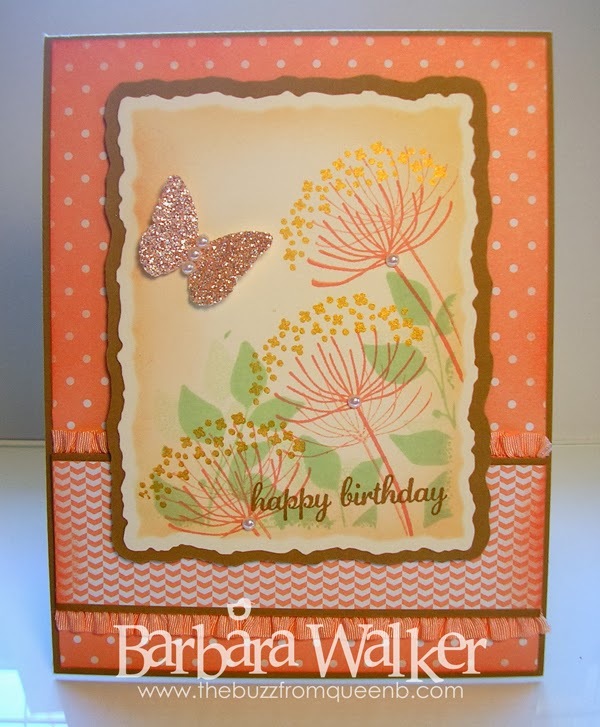 I used the gold ink to stamp the main floral this time. I added another patterned paper and I used some of that DELICIOUS ruffle trim to frame it. 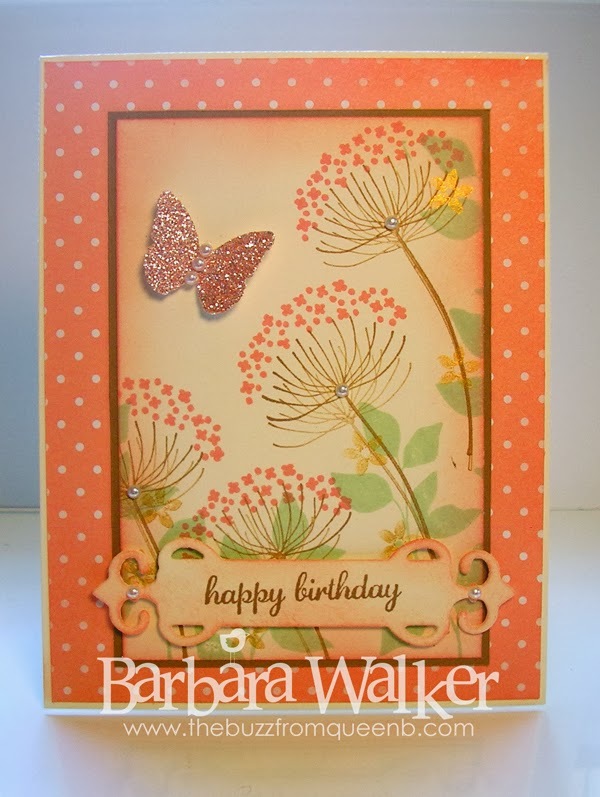 The butterflies on both cards are made from silver glitter paper that I colored with a sponge dauber and cantaloupe ink. It is an absolutely beautiful color! I've done the same technique with yellow ink and the results are just as nice. The main thing to remember is to let it dry before working with it. I let mine sit for a few hours because the ink sits right on top of that glitter and it will rub off and transfer to your project. For this focal, I die cut my card stock and while it was still in the die, I did all the stamping and sponging, because I wanted to keep that crisp white edge around the image. To create the mat around the focal, I used the next size up die, I traced it onto my card stock with a pencil, then cut it out. I adhered everything down, added a sentiment and some pearls and that's all there was to it! Thank you so much for dropping by today. I appreciate the visit. Have an amazing weekend! bling: Pearls from Stampin' Up! Oh. My. Gosh!!!! These are two stunning cards, Barb. Absolutely stunning! I love that cantaloupe color! Every detail of these cards is perfectly placed. I am at a loss for words really. So beautiful Barb, thanks so much for sharing. I suspect these will be sold in a nanosecond!